My 11 year old, who we like to call Little Mouse, is graduating 5th grade. Next year she moves on to middle school. The whole thing scares me, but for now this is a momentous occasion so we will celebrate. Because she is a SMART COOKIE! I made these party printables below in honor of my Little Mouse. She loves the color blue so that was the obvious color choice for these party decorations. 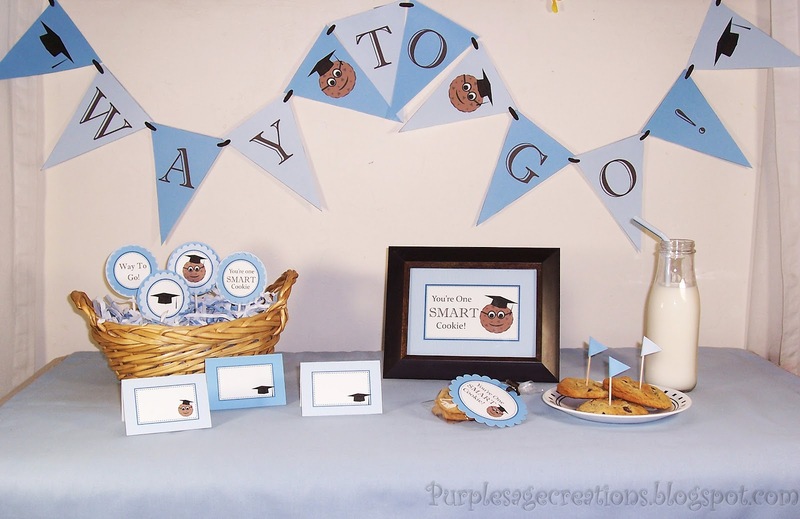 I plan on having a little graduation bash the last day of school with just our family. My sister will be in town to celebrate with us. 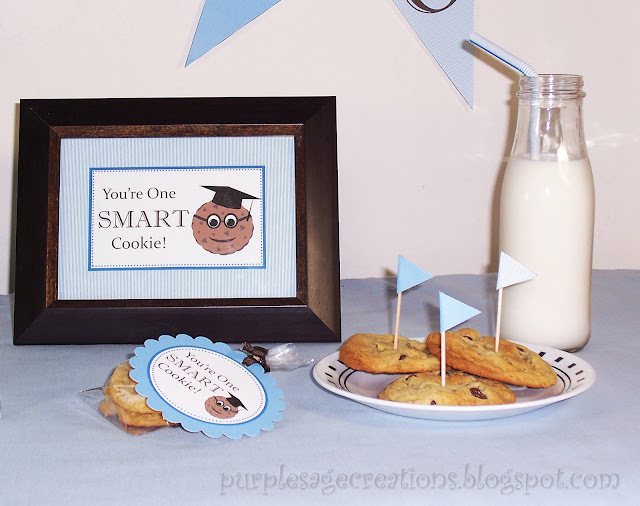 And I'll make Little Mouse's favorite cookies, chocolate chip cookies and homemade Oreo cookies. 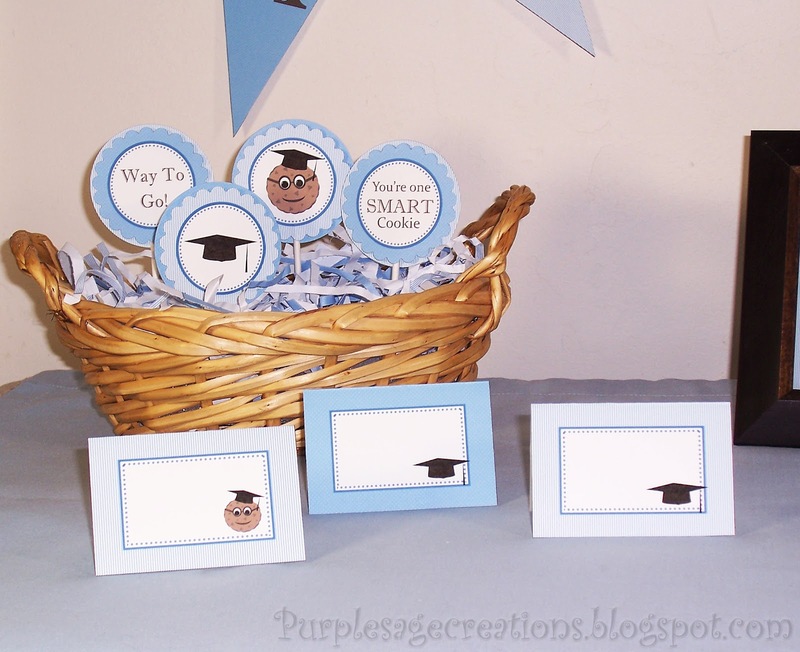 I'm sharing these printables with all of you out in blog-land to celebrate your graduate. Whether they are moving from 5th to 6th, or graduating high school. We must celebrate the little things. That's what makes life so much fun! 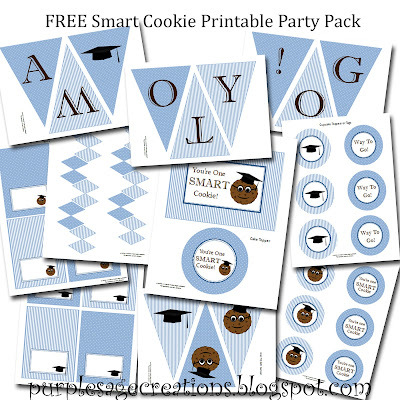 Click HERE to download the FREE smart cookie printable party pack.